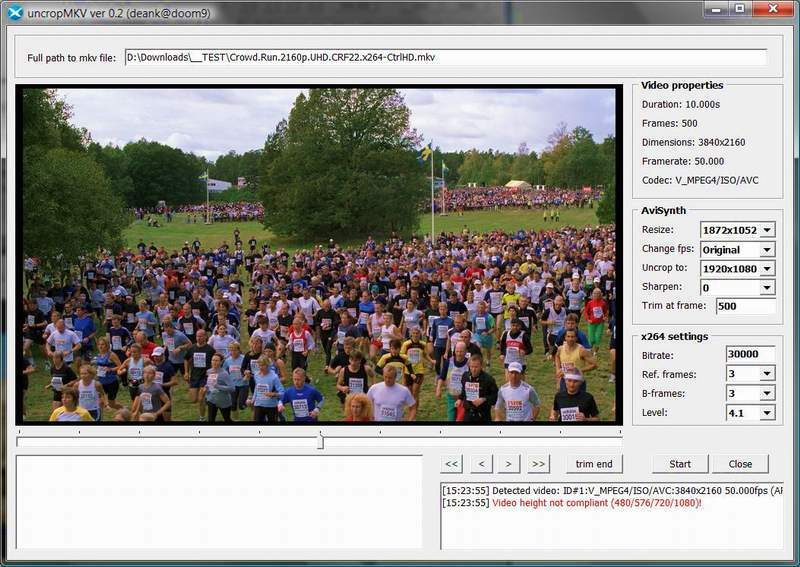 uncropMKV makes mkv files compliant with 720x480, 1280x720 and 1920x1080 AVCHD/BD requirements. Based on multiAVCHD. [11/06/2010] version 1.55 - Fixed max number of b-frames and referent-frames for all resolutions. Video-frame preview when sliding the time trackbar.